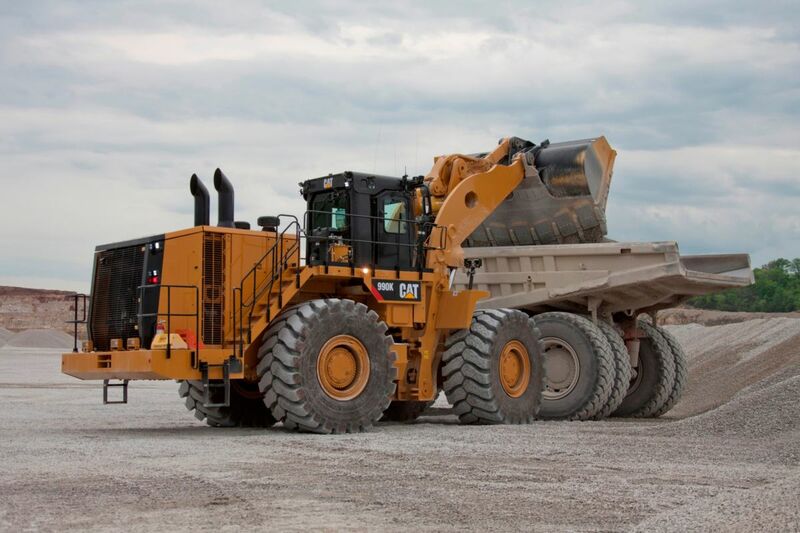 The Cat 990K Aggregate Handler has a payload of 22 tons (20 tonnes) and a full turn static tipping load of 96,426 lb (43 738 kg). Additional counterweight maintains machine stability, and robust 990K structures ensure durability in the Aggregate Handler configuration. The loader makes best use of general purpose and coal buckets for increased volume.